His lesson was simple; nine words, one clear meaning. It catalyzed my Aikido practice with new perspective because he taught through the language of my creative values. I left the dojo in Vancouver excited to put the weekend’s learnings to daily practice. I thought about all the senior students and instructors I had learned from. Gweyn’s ukemi, Bill’s kokyu-ho, Thoms Sensei’s tenchinage. But had I committed myself to it? Had I owned my practice? Had I possessed my creative identity? Rob Darmour is a 5th kyu member of Multnomah Aikikai. This essay first appeared in the Multnomah Aikikai blog; click the link to see the original and view a brief montage of Boyet Sensei practicing Iaido by Sam Brimhall. I was intrigued by your title, “The Practice Is the Purpose.” I wondered about that. Is that the purpose of aikido? What is the purpose of aikido? I read your essay, and I see you were specifically talking about developing, and that by practice practice practice you hope to develop qualities like beauty in your movement. That strikes me as admirable. But I do wonder what others think about the larger question. 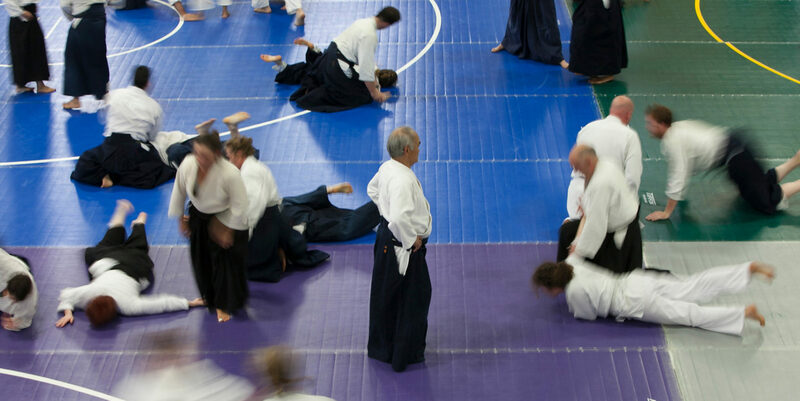 What is the purpose or purposes of aikido practice? Is it simply to practice? Or are we seeking to achieve some greater goal? Regarding your question, Joshua…The title may have been the title to an article in Yoga Journal. Though my yoga experience is not quite as long as my aikido – I’ve found that as I learn more about both, they are of similar essence. Some might even say the practice of this life is also the purpose. How we practice and move thru this life can be the means to an “end” at the end I suppose. I think in order to answer this question we need to understand that we all came to aikido from a unique place. That place does not always keep us practicing but it does provide the foundation for our connection to aikido. As a species we always seem enthralled by purpose, goals…what is my purpose, why am I here? Aikido is trust. We must give up our ego (even our own personality) and trust our teachers, trust our bodies, trust our selves and trust the art.